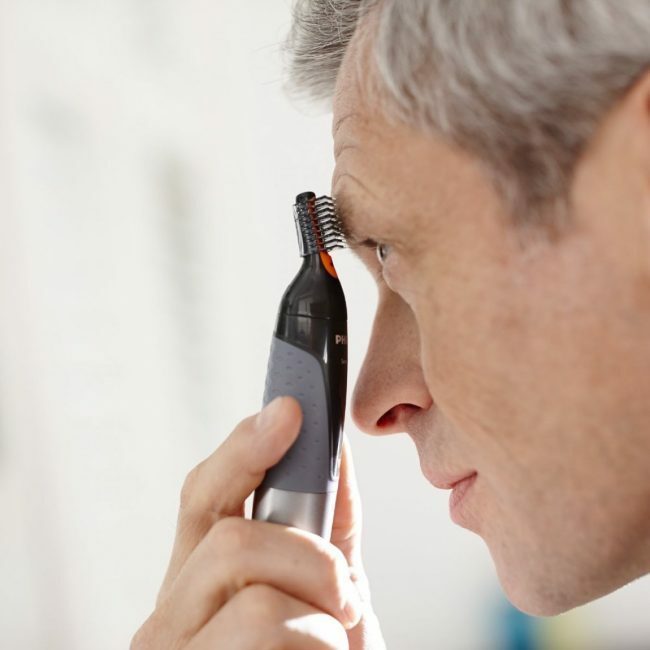 Getting a good eyebrow trimmer calls for more than just identifying a good brand or checking the price tag. You want to find a unit that is big on accessories, gentle and most importantly, one that offers good value for money. It would even be more convenient if you could find one that is multifunctional, allowing you to trim your ears and nose hair too. And even though chances are you’ll not trim your eyebrows while showering, it is a good idea to get a machine that works both wet and dry. What does it take to land such an item? We take a closer look at top 6 eyebrow trimmer brands and how they perform once you put them to use. 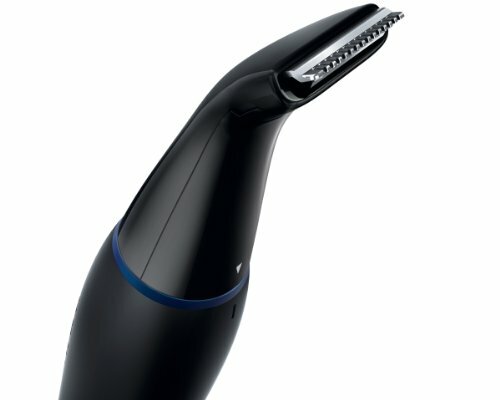 Philips Norelco NT9130/40 Nose Trimmer comes with a bunch of cool features that ensure quick, safe and gentle trimming. One of those features is the ultra sharp chromium blades, which ensure the whole process is quick and painless. You don’t have to worry about your eyes getting watery due to the pain of pulling the eyebrows. Using this tool, you stand to enjoy the following benefits. This easily accesses hard-to-reach areas without any abrasive or inflammatory effects on your skin. It effortlessly clears your face, eyebrows, ears and nose. Its tips are rounded, ensuring a natural feel and a massage-like effect against your most delicate areas. This eyebrow trimmer is built with the “safety first” ideology. Everything from its blades to its skin guard technology is meant to protect you from any form of harm. You can rest assured of a painless trimming experience even when you groom up in a hurry. Unsightly hairs are gently and efficiently removed making one appear well kept and attractive. 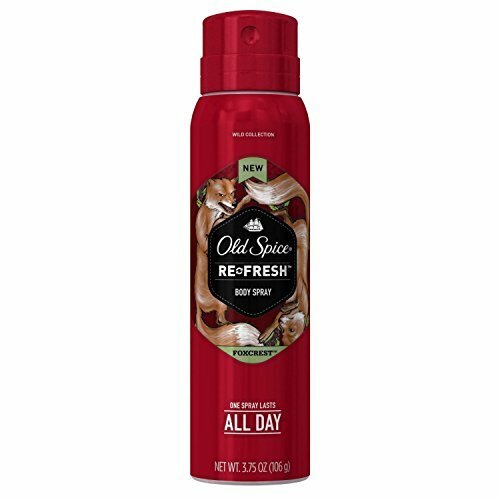 Works effectively on areas around the neck, ears, and nose and leaves results that last for a couple of weeks. 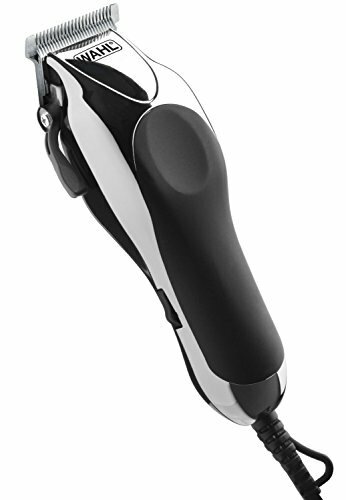 Known for its gentleness and great design, the Philips Norelco NT9130/40 does a good job as a grooming device. It is gentle on your skin and most importantly offers a bunch of user-friendly features. Some of these features, like the attached detailer, help you do a clean and precise job even when you are cutting in unusual areas such as sideburns and the neck. Yet another incredible aspect of this tool is that it is a lot quieter; producing more of a light buzz. The unit survives with little or no maintenance save for regular cleaning. Each piece comes with 2 trimming combs, AA battery (last over 7 months on average), protective cap, detailer comb, cleaning brush, storage case and of course an electric trimmer. Each unit is protected by a 45-day risk-free trial with a 2-year full warranty. Beneath these sharp blades lies great skin guard technology. This entirely removes any chances of injury, ensuring the whole process is safe and friendly to your skin. Perhaps the most beautiful thing about this eyebrow trimmer is the fact that it can be adjusted to a desirable angle. 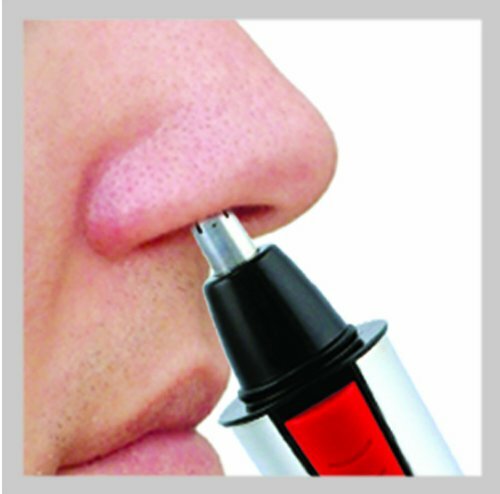 This ensures you get an easy reach whenever you are trimming hard-to-reach areas such as the nose. 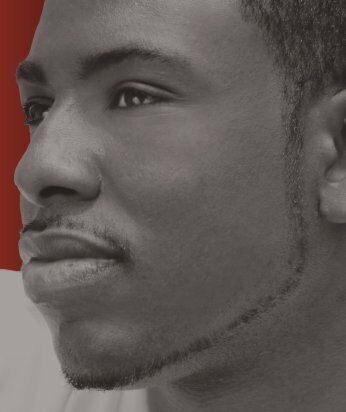 To top it up, there is an attached detailer with rounded tips which enables one to effectively trim and style the hair (particularly around neck and sideburns). Washable meaning you can rinse it under running water. With most beauty products available out there in the world, men tend to get the short end of the stick. Not anymore. Mangroomer Stainless Steel Detail Groomer allows you to deal with body hair and any unwanted facial hair in a quick and painless process. 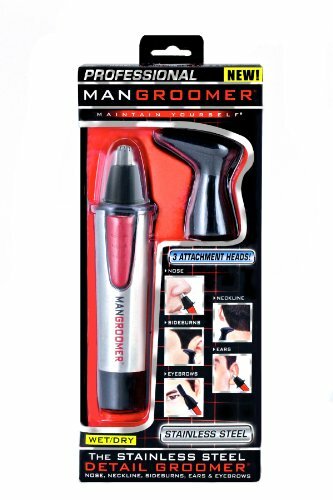 Perhaps one of the greatest things about it is that it has 3 interchangeable heads which allow you to tackle anything from eyebrows to sideburns, neckline and nose hair. 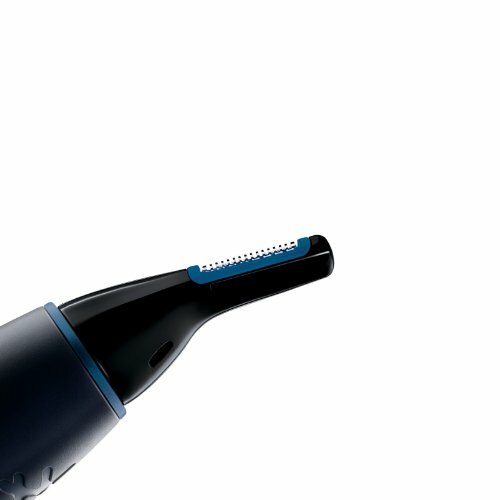 Beyond that, you can even use the trimmer to clear hair around your legs, tummy, arms, underarms, back, chest, and toes. The eyebrow trimmer is equipped with 3 interchangeable heads for precise trimming of ears, sideburns, neckline, eyebrows and nose; this tool is made using the highest possible quality of stainless steel. Besides that, it is 100% waterproof, enabling one to use or wash it under running water. Different parts of the body have different alignments. For instance, the ear and nose have curved design which makes them extremely delicate to deal with, unlike the sideburns. 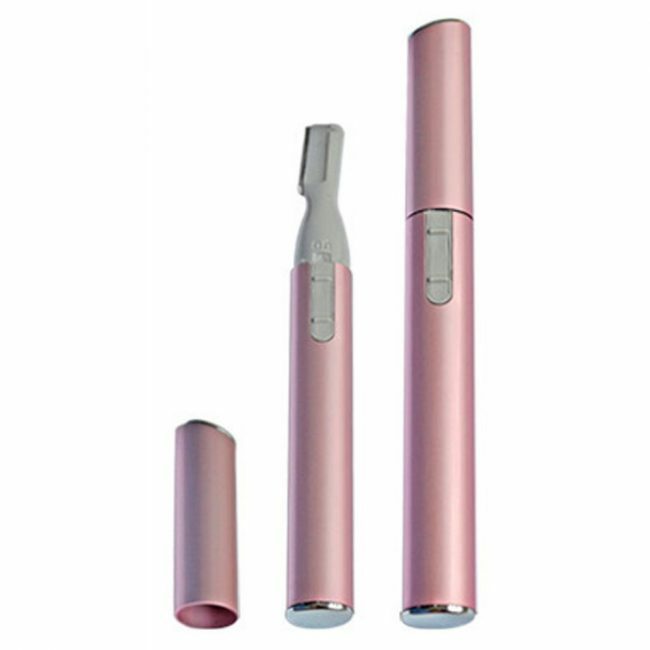 By providing you with 3 attachments, this unit ensures you are able to get close trimming results even when dealing with ingrown hair. 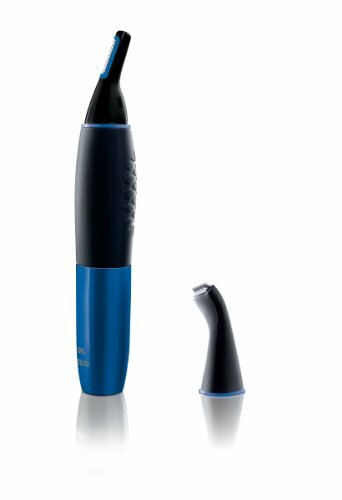 A separate head is also included for maintenance of eyebrows – making this one of the most comprehensive eyebrow trimmer models available on offer. The box comes with a cleaning brush, protective cap, 3 attachment heads, safety and instruction booklet. What’s attractive about this entire package is that it is geared towards doing a good job with every shave. The main selling point of this eyebrow trimmer is that it is solidly built and it works fast and easily. Most customers recommend it for its comfortable grip and feel. Its easy-to-change heads make it even more attractive because different parts of the body require different angles and different levels of intensity. Perhaps its only downside is that it does not come with a storage case where you can put all the attachments. 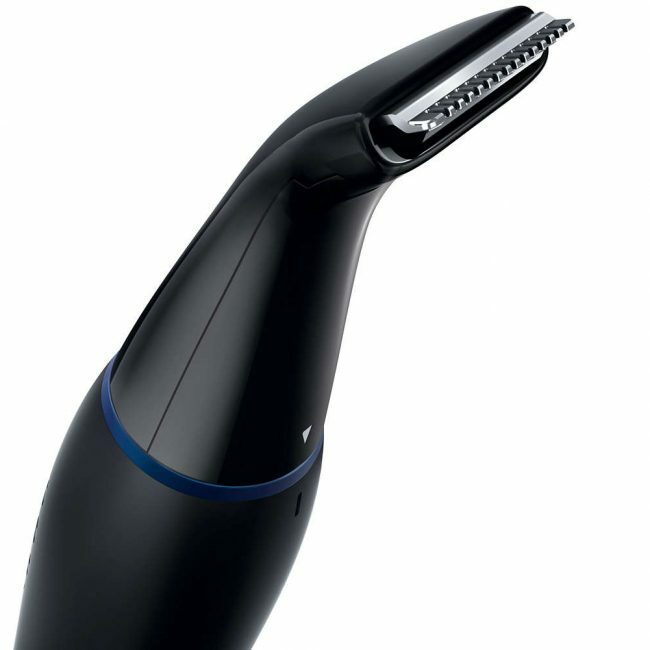 The trimmer is made using stainless steel, which traditionally is known for its durability. Best of all, stainless steel does not rust and so you can use the eyebrow trimmer either wet or dry. The groomer is waterproof, meaning you can clean it in running water. For a more precise clean-up session, you can easily remove the head attachment and replace it easily. Its design is simple and manly. Its exterior is fully covered by professional-grade stainless steel as well as its blades. Some of its parts are made of good quality plastic with casings for an added layer of safety. 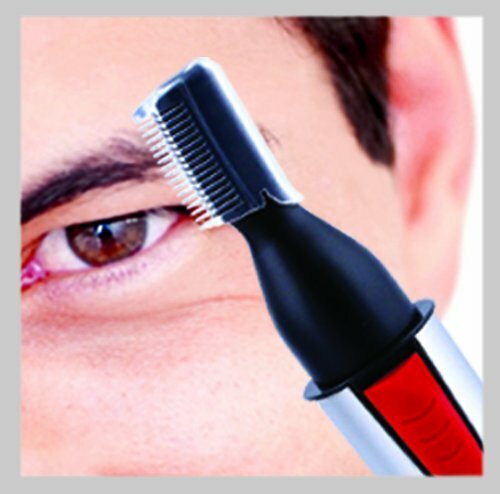 A closer look at this famous eyebrow trimmer showcases an all-round tool that is suitable any day, anytime. Known for their consistent results and commitment to quality and innovation, the team at Bliss always seems to have something up their sleeves. And as far as creating a new eyebrow trimmer is concerned, they seem to understand a thing or two on what it takes to groom up the modern man. 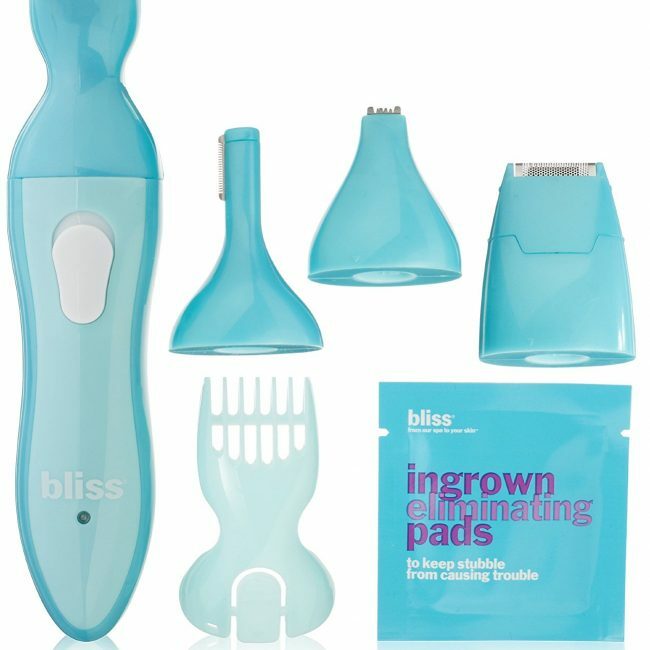 Their spa-powered system, christened Bliss Trim & Bare It, is a package comprising trimmer tool, cleaning brush, adjustable comb, 4 attachments, ingrown eliminating pad and blade lubricating oil. This is not an ordinary kit. 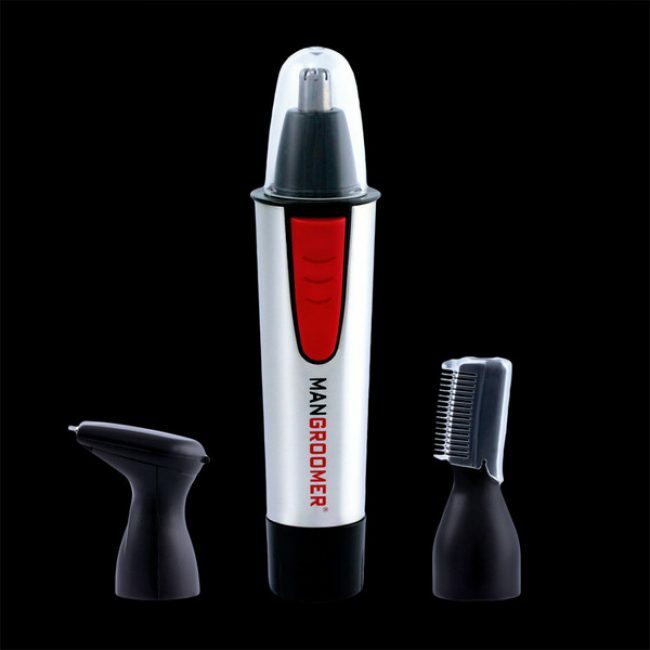 It actually lets you coif with a rechargeable, cordless, user-friendly trimmer which gives you 4 separate attachments. In case you’re suffering from bumps, this tool has an ingrown eliminating pad to keep them at bay. If you’re worried about keeping your bikini line intact, this eyebrow trimmer certainly got you covered. One of its 4 attachments is a bikini trimmer which does the job perfectly. Besides that, there is a micro shaver, which comes in handy when you need just that extra-close shave or when you need to clear up curved areas. In case you want to groom the area around your nose, upper lip or inside ear, then you can count on the precision trimmer to do a stellar job. 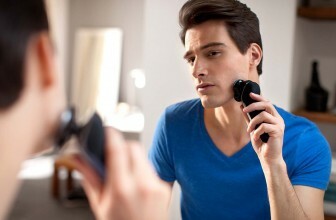 In other words, irrespective of your shaving needs, this trimmer got you covered. Its design is nice and handy – although it looks cheap when compared to other models that we’ve reviewed. A closer look at the eyebrow trimmer reveals that it is waterproof and therefore safe to use whether in wet or dry condition. And you don’t have to worry about battery replacements either. This one is exclusively rechargeable providing an average of 40 minutes worth of power which is just enough to get you fresh and clean-shaven for several weeks. 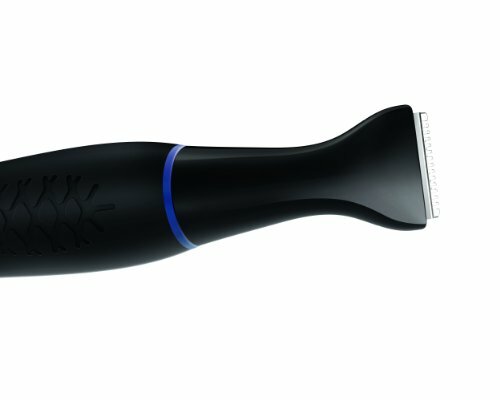 If you’re looking to keep tidy in between spa visits, this is the trimmer to go for. It works with minimal fuss and at the same time smoothens your skin by introducing a gentle touch wherever and whenever you need it most. Besides that, the kit allows you to shave any overgrown hair to your liking. The system provides you with just the cover you need in between professional waxing session. You only need to apply a pre-wax polish and then coif with the most suitable attachment. Of course, you get to choose from 4 attachments namely: bikini trimmer, micro shaver, precision trimmer and facial trimmer. 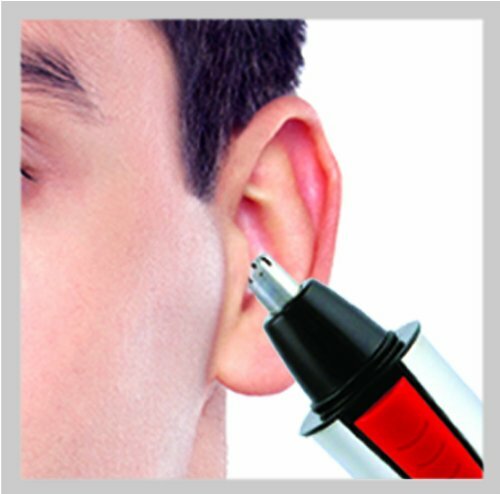 You simply place the desired attachment on the eyebrow trimmer using instructions provided on a straightforward guide. However, you need to be careful enough not to use the wrong attachment for the wrong job. For instance, you should not avoid inserting a precision trimmer into your nose as it might miss the hair and instead pull your skin. 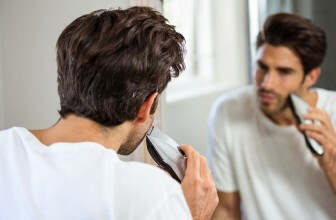 If you really want to use it for grooming your nose, then you’re better off trimming the outermost hair using a mirror – don’t insert it too deep into your nose. 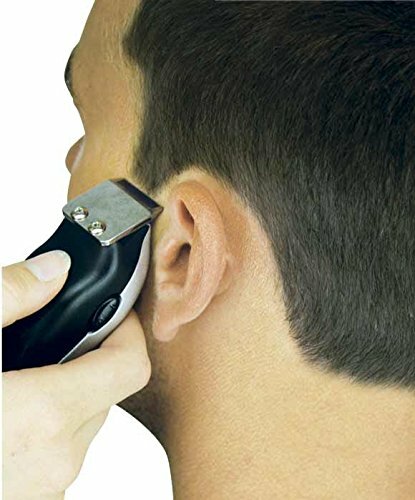 Whether you are struggling with unwanted hair dangling from your nose or some stray ones sprouting from your ears, this best-selling Vivitar Battery Operated Ear, Nose, Eyebrow Trimmer can be your convenient solution. Maybe you have tried using a clunky, tired pair of scissors only to be disappointed in its ruthlessness and untold pain – if yes, don’t give up yet. This one works with the precision of the world’s best engineers and the gentleness of the leading dermatologists. A look at it reveals its blades are made from hypoallergenic stainless steel, which is known for its durability and ability to resist rust. Its body doesn’t disappoint either as it is made with a nonslip grip that is water-proof. Perhaps the most crucial thing about this eyebrow trimmer is that it uses patented blade system to effectively and painlessly trim overgrown hair. Besides doing a good job on your eyes, this tool promises to trim your ear and nose hair without nicking any sensitive linings. This eyebrow trimmer has blades that are entirely made of stainless steel. That means they stay sharp and clean even after many months and years of use. Its patented functionality ensures it achieves a clean and nice shave with every attempt. Just as its blade is immaculate, the entire machine is easy to use and maintain. One simply needs to turn a swift OFF/ON and hold onto an easy-grip handle to get the job done. Moreover, this is carefully made, in a compact size perfect for home or travel. The exterior of this US-made eyebrow trimmer is a statement of quality craftsmanship meant for a lifetime of use. 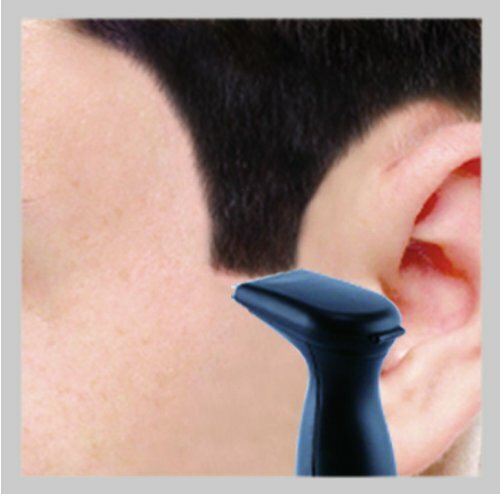 The Groomate Ear/Nose Clipper is not only easy to operate but easy to clean as well. One can even place it under running water to clear any hair remnants after use. 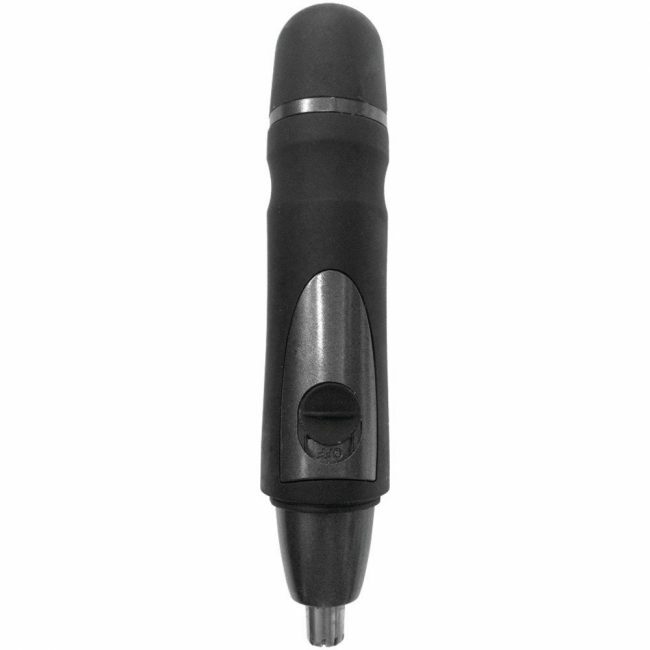 If you want to give this trimmer a thorough cleanup, you simply remove a set screw to reveal an inner shaft which is also waterproof. Note that, this tool is made out of a mixture of stainless steel and high-quality plastic – a feat that makes it durable and manly. 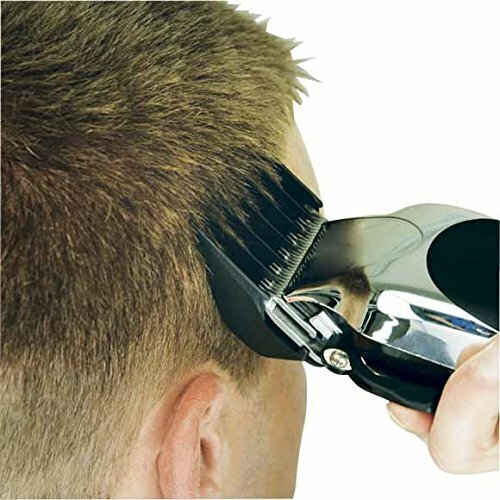 Patented blade system designed to cut hair quickly and efficiently without nagging the skin. Blade made from stainless steel to prevent rusting and corrosion even after many months of use. Incredibly gentle; this eyebrow trimmer will leave your most sensitive areas safe and neatly trimmed. New and sleek design allowing for easy handling with wide slots for close cutting. Moreover, it has a plastic handle and an easy to use a switch for enhanced simplicity. This Wahl barber kit contains a whopping 30 tools all which are ideal for basic grooming including an eyebrow trimmer (of course). At the centrestage of this entire kit is a clipper, which is claimed to have a motor that is 35% more powerful. There is also a 12-piece comb set to enable one achieve all sorts of trimming styles. One of the key highlights of this unit is that it is made by a company with a longstanding reputation in hair care industry. 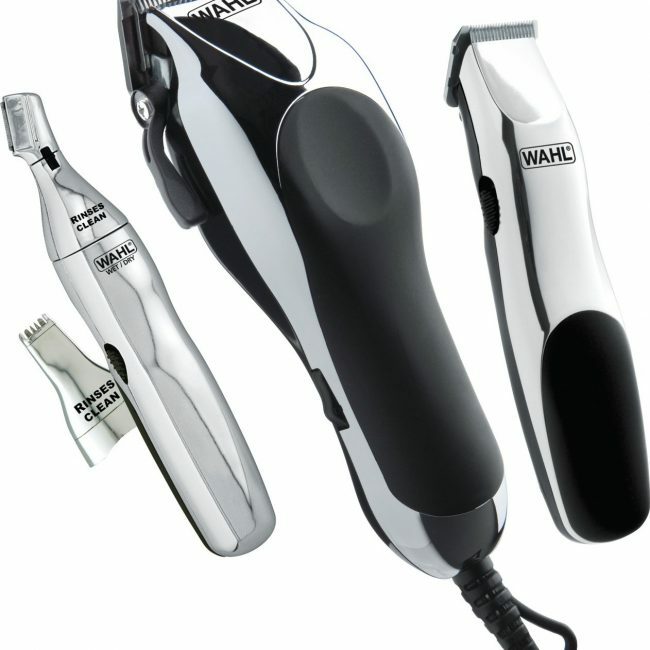 Wahl was founded in 1919 and has been producing trimmers since 1994. Being a complete system, this combo provides one with everything needed to maintain that neat and clean hair cut. 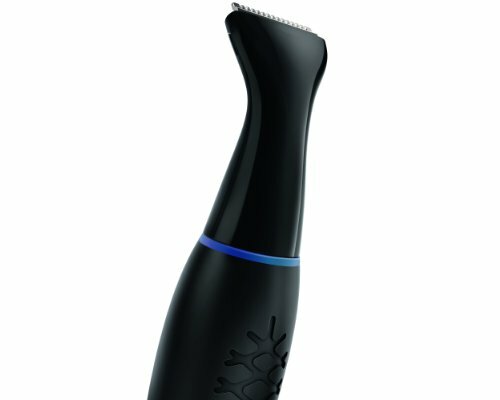 The pro clipper is reputed for its ability to cut hair with a bit more power than any other electromagnetic motor clipper. 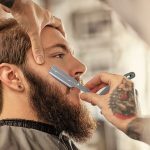 For ease of use, it has an adjustable taper control that allows one to switch clippers to different cutting lengths by simply flipping a lever. This hair cutting tool boasts an ergonomic shape that makes it possible to trim hair in different angles. Inside the package, there are guide combs, a mirror, and a spray bottle. And to keep all these together, the combo is sold with a soft zippered casing for easy transport and storage. Whether you are looking for a way to trim your eyebrows or you simply want to get rid of the undesirable arm or ear hairs, this sleek tool can come in handy. Weighing slightly over 42 grams, it is light enough for frequent travel occupying minimal space. Its body is entirely made up of plastic, with a superb metallic shine finish which makes it not just look good but also provide much-needed waterproof protection to delicate internal parts. Its blade is fully made from a special variety of stainless steel that does not rust or lose sharpness. To top it up, there is a convenient top cover that fits snuggly over the blade covering it all the time and keeping it safe from germs, bacteria or any other form of danger. Perhaps the main selling point of Electric Face Eyebrow Hair Body Blade Razor Shaver Remover Trimmer is the fact that it is super easy to control. On one side, towards its front end, is a simple switch similar to one found on traditional flashlights. So you simply turn it on and off as needed (by pressing it forward or backwards). The most interesting thing about this switch is that it interlocks with the top cover preventing any possibility of accidents – the only way to turn the switch ON is by first removing the cap to make way for this movement. That this unit is friendly for any home is not in doubt. And even more, its list of merits and features is impressive, to say the least. The stainless steel gently protrudes from a plastic background leaving just enough space for a smooth trim. At the same time, it remains safely tucked in the midst of a well thought out covering protecting it for long-term use. Each attempt to trim is guaranteed to leave desirable results especially keeping in mind that each of the blade’s 30 teeth is sharpened and ready for the job. First and foremost, this eyebrow trimmer has a smooth body with an enhanced grip which makes wiping it a tad easier than when you are dealing with bodies with many angles and corners as is a tradition with other tools. The blade is itself adequately exposed (measuring approximately 1.6 cm), with its teeth well spaced (0.48mm) for easy cleaning with a brush. Apart from the shaver, the entire package comes with a fine brush – whose job is obviously to clean out the hair left on the blade; some use for the general clean up as well (though this can be done using flowing water). And because it is important to comb eyebrows before trimming them, this unit comes fully armed with an eyebrow comb. All these three tools are sold as one product. Easy to use, one can start using it immediately after receiving. Simply turn the switch ON/OFF. With so many products available to choose from, one can easily get lost and even end up making a wrong eyebrow trimmer choice. But it doesn’t have to be like that always. A good product is one that is made with high-quality inputs. 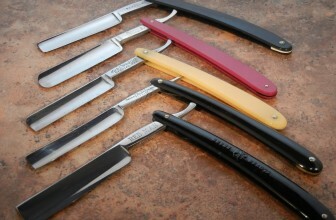 Historically, trimmers made of stainless steel tend to outlast all others. Ones made of plastic, though cheaper and easier to carry around, tend have a shorter lifespan. But while durability is a factor worth considering, gentleness is even more important given that we are talking about a product that comes into close contact with your skin. It is important to find an eyebrow trimmer that is gentle on your skin – one that operates without leaving ugly bumps behind. The source of power is yet another factor worth looking into. AA battery-powered units are the most popular though they require battery replacements every so often. Rechargeable models, though convenient, may not operate for more than 40 minutes. While battery-powered models are suitable for those who travel frequently, rechargeable ones are ideal for household use. Considering all crucial features alongside client feedback, the Mangroomer Stainless Steel Eyebrow Trimmer easily stands out as the most superior choice of all. Its stainless steel body, choice of attachments, protective capping and comfortable grip make it a suitable package for any busy individual out there who may want to look good.